It's been a delightful year of reading, and writing some hopefully useful critique of what I've read. I'm now off for the Christmas period, so updates will be sporadic until the New Year. It's been a pleasure having you as readers, and I hope everyone has a lovely Christmas period, and an excellent new year! Aliette De Bodard’s debut novel, House of Shattered Wings, is an urban fantasy, set in the Paris of the 1920’s. But not the 1920’s we know – the war here was just as great, but one fought between rival houses of fallen angels, whose wrath has shattered the city, and – it is implied – the world. Now, after staggering away from seemingly unending conflict, the survivors, settled in rival factions, have to deal with a darker issue – and each other. As alluded to above, De Bodard’s Paris is not a particularly pleasant place. It’s a shattered remnant of itself. The Seine is a swamp, seething with war magic, detritus, and vicious living weapons. The grand monuments of the city are broken, and mostly uninhabitable – a few remnants being used as housing, with variable success. It’s mentioned that the city was very different before a magical war essentially smashed it into barely functional rubble – and De Bodard precisely captures this in an atmosphere of decline. The residents of the city seem broken and tired, and even those in the confines of the Houses seem exhausted in their safety. The Houses, incidentally, are the remains of the net of social cohesion that tied De Bodard’s Paris together. They’re inhabited by Fallen. These are literal fallen angels, whose arrival on earth allows them access to frightening levels of seemingly magical power – whilst also removing their memory of how and why they fell to earth. Here, however, they set up their bastions, come together in factions, plot, scheme, and occasionally murder each other. There are other, non-Judeo-Christian mythos types mentioned through the text, and one, that of Vietnam, plays a central role – but the story of the Fallen is perhaps the strongest – their arrogance, certainty, charisma and raw power hammering at the reader through the page. De Bodard’s city may not live, but it certainly dies well, seeping into the reader like the turgid waters of the Seine. It’s not a place that feels living, but remains vividly the end of something greater than itself. It’s not a world anyone wants to live in, but it does seem real, if horribly unpleasant. At the same time, there are sparks of humanity and divinity amongst the Fallen, their followers, and their enemies. Our central view of the narrative comes from Phillipe, a Vietnamese individual, conscripted into the war by the Fallen, and at least initially running with a desperate gang in the dark heart of Paris, and Isabelle, a new Fallen. Both are surprisingly sympathetic. Phillipe, seemingly older and more self-contained, is a study in doubt and certainty, a man defined by his experiences and his hatreds, and also by loss. His thoughts seem to almost drown in melancholy, but he has a stark humanity, in a world filled with lethal supernatural predators, which is refreshing to read. By contrast, Isabelle is a font of naiveté, taking on faith the pronouncements of others about duty, honour and sacrifice, whilst their own thoughts reveal those to be merely realpolitik at work. Watching her descent into the cool selfishness of the other Fallen is agonising, for Phillipe and for the reader, and her desire to be better than those she is surrounded by, to become herself, is both terrifying and delightful. There are side characters of course – for example the heads of several of the Houses are a delight to read; their venal, potentially fatal bickering is intriguing and horrifying in equal measure. Then there’s the alchemist of one of the Houses – old, tired, and looking to take several secrets to the grave with her. De Bodard’s cast is large, but those with time on the page feel…if not human, then fully realised. The Fallen are cold, remote, dangerous creatures, predators in a world that they’ve destroyed. The people around them are drawn like moths to the metaphorical flame – used up, burned out, but unable to resist, in a world where safety and total obliteration are separated by a razor’s edge of goodwill. From a plot standpoint…well, as ever, I shall avoid spoilers. Still, this one is a slow burn. Phillipe and Isabelle are drawn into the orbit of the House Silver Spires, which begins to suffer from a dark curse. The investigation into this, how to resolve it, and how it came about is the narrative spine of the text. It’s relentless, compelling, and intriguing – it’s also quite a slow burner, but it does reward sticking with it. Is it worth reading? It’s a fresh take on urban fantasy, in a wonderfully drawn setting. The characters are a little remote for my taste, but that’s part of the atmosphere. The plot takes a while to get running, but grips on and doesn’t let go once it picks up a head of steam – so yes, I’d say this one is worth the read. 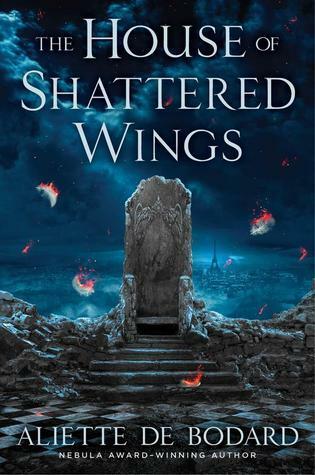 Tomorrow we'll take a look at Aliette De Bodard's urban fantasy, The House of Shattered Wings. It's filled with the struggles of fallen angels, in a decreipt, broken Paris. It's a fascinating read. 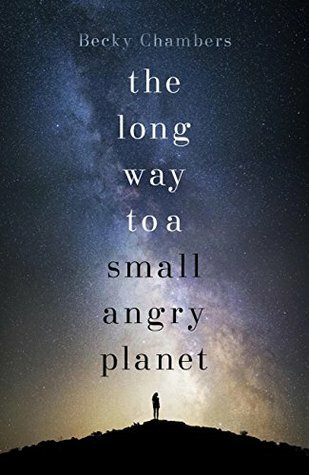 The Long Way to a Small Angry Planet is Becky Chambers’ debut novel. It’s an emotionally strong, cleverly plotted sci-fi piece, about a crew of wormhole tunnelers, trying to make it by as best they can. Chambers’ world is one with a degree of cohesiveness. Humanity is part of a galaxy spanning alliance, filled with many different species on many different worlds. There’s the cold blooded, feathered lizards, with the elaborate, non-atomic family structures and need for social closeness. The creatures uplifted by a parasitic virus, which are able to use their bond to navigate in the sublayer of space where wormhole construction takes place. The sentient AI. The brutally direct crab-men. There’s a sense here of the cosmopolitan, of a space far larger than the hull of a ship. Whilst the tunnelling craft Wayfarer is the centre of the narrative, it never feels like the centre of the universe. It’s interesting to see that humanity is also not thought to be the centre of the universe either – rather than exceptionalism, humanity is seemingly something of a junior partner in actions on the galactic stage. Within this broader spectrum – which is typically introduced by conversation or as part of the journey of the Wayfarer’s crew – there’s the tunnelling ship wayfarer. Built to construct wormholes between points in space, the ship serves as a home for a diverse crew, from multiple species. It feels more claustrophobic than the expansive galaxy outside, but the confines of the craft also serve to create empathy and conflict between the crew; there’s a sense of burgeoning understanding and family here – of a dynamic shifting around, as the characters interplay with each other. There are established relationships – friendships and antagonisms – and the Wayfarer holds them all, a sort of extended home for the crew. Chambers has built a vivid, believable world here, one where the beautifully prosaic is placed alongside the wonderfully strange. The characters – well, really, this is an ensemble piece. The reader comes along with Rosemary Harper, a new member of the Wayfarer crew. As she learns about the crew, and becomes involved in their lives, so do we. It’s to the author’s credit that each of the crew feels like a real person. There’s a serious range, between the empathetic but fierce reptilian pilot, to the acerbic and misanthropic fuel engineer. But each of them feels like a real person. Critically however, the aliens do also actually feel alien. The cold-blooded pilot squabbles with the algae specialist over room temperatures. The AI discusses with one of the techs the nature of existence, and the pro and con arguments for embodiment. The humans, split into their own sub-factions, deal with their embracing pacifism, and the consequences of that. There’s some truly fantastic moments here, as the characters open themselves up to each other, and get to know each other better. As the Wayfarer cruises through the galaxy to knock a hole in it, these individuals feel like a family; dysfunctional, at times conflicted, but still, a family – and one portrayed with a startling degree of skill. As the narrative journey progresses, our understanding of the characters grows; and each is dealing with their own conflicts, their own demons. At the same time, they feel normal – not heroes or villains, but a crew of contractors, with their own lives, hopes and dreams, living in the shadow of larger events. It’s a small scale narrative, which is sued to explore larger themes – love, pain, acceptance, family – against a cosmic backdrop. The plot, sans spoilers, is centred around the Wayfarer’s journey to the point required to start a new wormhole tunnel. It’s a gentle pace, but one which never lets go fo the reader. There are incidents – spikes of violence, character-defining choices – and these have the ability to knock the breath out of the reader. The journey is fascinating, the locales visited, the supporting characters interacted with, intriguing. There’s a hefty emotional rice, and an even greater payoff from the reader, but the plot, as a vehicle for the characters, and for those larger themes, is absolutely spot on. Is it worth reading? Absolutely. It’s enjoyable sci-fi, which also explores greater ideas inside its narrative structure, whilst peopling an alien-feeling universe with utterly brilliant characters. Go pick up a copy right now – you won’t be sorry. Tomorrow we're going to take a look at Becky Chambers sci-fi tour-de-force, The Long Way To A Small Angry Planet. There's startling aliens, a vivid universe, and it hits with a very big emotional hammer - it's great stuff. 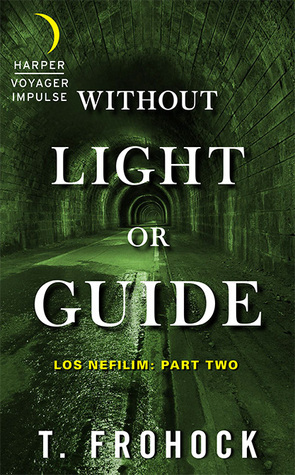 Without Light or Guide is the second in Teresa Frohock’s “Los Nefilim” series of novella. Set in the Spain of the nineteen-thirties, it follows some members of Los Nefilim – the children of Angels – as they struggle with defining themselves, whilst working for or against schemes pushed by their angelic overlords and daemonic opponents. Frohock’s Spain remains as vividly detailed as ever. The sense of a society on the brink of change remains, and is even exacerbated. There’s a feeling of hidden conflicts, quite aside from the supernatural concerns at the centre of the narrative – anarchist bombings and police brutality exist side by side, and the city at the centre of the story teeters between the expectations of the two. This also serves as a nice corollary for the tensions between angelic and daemonic entities. Here too, there is a feeling of an approaching storm, as individuals look to either keep their heads down, or position themselves for any coming conflict. A cold war looks to be gradually warming up, and the environment reflects that, the sense of imminent catastrophe, dread, and a sort of febrile vitality, very well indeed. Alongside the thematic similarities, Frohock does some excellent environmental description – the sewers packed with a sort of squamous ooze were particularly vile. I couldn’t get away from them fast enough! There’s also the urban bustle of the city, and the gradual shifts in atmosphere – all precisely crafted, and environmentally and emotionally effective. I was pulled into the terrifying and extraordinary world of pre-revolutionary Spain, and didn’t come out until the last page. There’s a rawness here, a reaching for emotional truths which immeasurably strengthens the core of the story. Diago and his lover are both men struggling with what others think of them, and they of themselves and each other – but Diago’s emotional growth, and acquisition of the strength to commit, are key tenets of the narrative, and the author makes them seem believable and honest. Diago’s family is a core part of the narrative; alongside his relationship with his lover, he’s also exploring feelings for his long estranged father, and newly discovered child. The latter, especially, plucks at the heartstrings and adds a degree of weight to the prose; Frohock approaches the parent-child relationship with care, and it comes off the page as plausible, as well as terrible and beautiful, providing an intangible emotional heft to the text. The relationship with his father is seen as rather more fraught, and here the sense of alienation and estrangement is captured masterfully, if brutally, in the text. The villains…well, as usual, they’re rather scary. There’s a slowly building horror throughout, which is counterbalanced by some rather more graphic moments laced through the text, before the climax. The antagonists feel alarmingly alien when appropriate, and a few are disturbingly human. They’re all thoroughly interesting to read, even when being truly terrible. As ever, I’m trying to avoid spoilers, so I won’t get into the plot too much. Suffice to say that Diago is on the move again, being gradually drawn into the intrigues of the Nefilim. There’s a slow burn buildup at the start of the text, but it flows wonderfully as the tension ratchets up in the prose. The stakes are, as ever, rather high, and there’s a sense of characters living with the consequences of their decisions. It’s a creepily compulsive journey for Diago, and the reader is taken along for the ride, by turns disgusted, terrified and thrilled. There’s more of the Nefilim here than before, and Frohock’s prose packs a punch. Is it worth reading? If you’re new to the series, I’d start with the first in the sequence. But if you’re looking for more of pre-war Spain, of a world where angels and demons fight a gradually escalating war amongst our shadows, and where family and love are nothing – and everything – then yes, this is a thoroughly enjoyable sequel. Tomorrow we'll take a look at Teresa Frohock's second 'Los Nefilim' novella, Without Light Or Guide. It's good stuff - a creeping horror urban fantasy, with elements of mystical divinity, and rather a lot of demons, in civil war Spain. 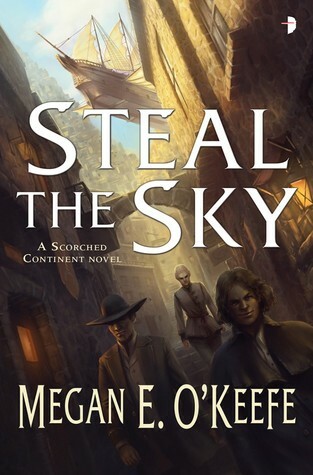 Steal the Sky is Megan E. O’Keefe’s debut novel . It’s an imaginative, intriguing piece of work, set in a unique world, with a lot of potential. The world O’Keefe has created has the feeling of being on the margins of something larger. It’s centred on a town nestled on the side of a volcanic mountain. The town is sat on the side of an active volcano because it contains ‘selium’, a lighter than air gas, which can be used for travel – but can also be manipulated by the small percentage of the population which are ‘sel-sensitive’. Sensitives can do all manner of things with selium, but are strongly discouraged from doing so – instead, being the only ones able to process the gas on which air transport depends, they spend their lives working at the selium mines, or, rarely, as airship captains. There’s a suggestion that those with a greater affinity for selium, or with the ability to do odd things to it, are quietly disappeared. It’s a world with it’s own customs and expectations, which O’Keefe quietly slides into the narrative. The sense of a company town is carefully and cleverly evoked , and by the close of the narrative, it feels like a living, breathing metropolitan area. Admittedly, not one you’d want to live in – filled with rock dust, knife-edge politics and the occasional murder- but still a place with a soul, and a unique sense of place. This rugged, dangerous, semi-magical space is occupied by several interesting characters. There’s the Watch Captain, a stolid individual with a strong sense of duty, and a surprising willingness to get into scraps with people who get in her way. There’s the sneak thief/con artist from one of the nobility, and his loyal companion. There’s the commodore from over the sea, filled with a clinical ruthlessness and a yen for power. Some characterisations are more successful than others ; the central pillar of the narrative is the noble con artist, whose smooth talking efforts to avoid jail time end up leading into something far worse, and at times I struggled empathise with him. There were some moments of cleverness which were both amusing and excellent indicators of character – at one point he filches a set of clothes from a public bath, and ends up with the owners wallet, as well as his rage, but there were smaller instances where it didn’t work as well, where the dialogue felt ever so slightly awkward, or where there was a bit too much exposition. Still, he was rather fun to read, and there were enough character-consistent revelations to keep things interesting. The Watch Captain, by contrast, is a perfectly serviceable character, filled with traits – but I would have liked to have seen her develop further; perhaps this will come in later books. The antagonists are delightfully unpleasant, pragmatically vicious people. There’s not a sense of the diabolical here, but more the systematically oppressive, or the uncaring brutality of the strong to the weak. It’s an impersonal poison, which is very well portrayed, and makes for an agonising and enjoyable read. Again, it would have been great to see a little more of these characters, and shared something of their more human moments – but they work perfectly well in the text as-is. The plot…well, as ever, I’ll try and avoid spoilers. It starts with something of a slow burn, as the reader gets acclimatised to the characters and their environment. But there’s something relentless about the pacing of the text, and it picks up ever-increasing speed from about the middle onward – and by the end, it’s an absolute juggernaut of prose, which I couldn’t stop reading. There’s something for everyone – witty banter, realpolitik, elusive and wonderful magic, the occasional stabbing. If the characters aren’t trying to save the world (or at least their piece of it), they’re definitely busy trying to save themselves. There’s red herrings, investigations, the occasional wonderfully funny moment, and some heartstopping action sequences – it’s a lot of fun, and it’s got heart. Is it worth reading? If you’re willing to look past the occasional flaw, and have the patience for the slow start, this is a fascinating, thoroughly rewarding read. It’s definitely worth the time – I’m looking forward to seeing what adventures the enxt book may bring. On Monday we're going to look at Megan O'Keefe's "Steal the Sky". It's a fantastic piece of adventure, with airships, shapeshifters, friendships, and, er, the occasional very large explosion. It's a lot of fun, and very enjoyable! 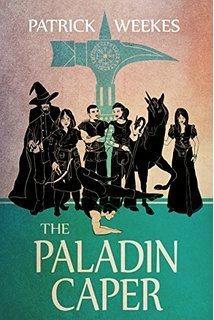 The Paladin Caper is the third in Patrick Weekes’ “Rogues of the Republic” series, which follows a team of mismatched characters in a fantasy world as they steal their way into - and talk their way out of – riches, whilst incidentally saving the world. This third book moves slightly further toward the heroic end of the spectrum. Where previous books had dragged us across the geography of Weekes’ world – from dwarven cities to elven wood-ships and back again – here we’re solidly in the heartland of the Republic. The shifts in this text feel more cultural than geographical. Here we see the rise of the Paladin Band, which feels analogous to a smart phone. It’s got calendars. A means of transporting messages. It has health benefits and broadcasting capability. The Republic, already surrounded by broken technological wonders, courtesy of their previous rulers, the Ancients, takes these changes into stride. Still, it’s a society in flux, one which has staggered out of one war, narrowly avoided another, and is ripe for change via social shift, rather than conflict. There’s some other interesting revelations here too. We get to see a bit more of the Ancients, and the discussions of what drove their civilisation initially are absolutely fascinating. There’s also a rather fun exploration of the elves, how they’re affected by crystal magic, and how their society operates. Weekes has kept up the tradition of slipping backstory and social logic to the reader through conversation and as a backdrop to more immediate issues, and this works well; he puts some more detail into an already well defined and vivid world, without overwhelming the reader. The characters are quite familiar by now, but Weekes still manages to change things up on us every now and then. There’s Ululenia’s struggle to decide who and what she is, after changing her self -definition in the previous book in the sequence. We also get a deeper look at Loch’s defensiveness, and the reasons she doesn’t feel emotionally available – apart from focused rage. Kail gets a more light-hearted approach in this book, after a rather more pensive study in the preceding novel, but still has some serious emotional depth lurking beneath the surface – which becomes clear later in the text. Each of the main crew gets a decent amount of time on the page, and they certainly feel like they have more than two dimensions – the twists and turns of their burgeoning relationships are particularly enjoyable, entirely believable, and often dreadfully amusing. The villains get, if not the same sort of emotional heft, enough time on the page that they’re not simply dastardly fiends. They’re convincing, and make convincing arguments for their actions, whilst also acting in thoroughly reprehensible ways. I won’t get into that in detail for fear of spoilers, but there’s also a variety of crosses and double crosses, all of which seem to be both character appropriate and utterly entertaining. As ever, I won’t talk about the plot in detail, for fear of spoilers. However, I will say this: It starts off with a bit of a bang, and hurtles at a breakneck pace from then on. There’s some wonderfully crafted emotional moments in there, which were both effective and affecting. There’s sword fights. There’s demons. There’s poignant moments of love, and horrifying moments of betrayal. There’s a few moments which didn’t quite gel for me, but they were easily forgotten in the overall mosaic of emotional honesty and rapid-fire action. In the end, The Paladin Caper delivers, for both the characters and the readers. On that basis, is it worth reading? If you’ve not picked up the first two novels in the sequence, I’d go there first – they add context to this book. If you’ve already read the previous two novels, then yes, this is absolutely worth your time – I’d highly recommend it. Slight Christmas delay today - but tomorrow we're talking about Patrick Weekes' conclusion to the Rogues of the Republic sequence, his "The Paladin Caper". It's clever, it's funny, it's heartwarming, and at times utterly devastating - great stuff. 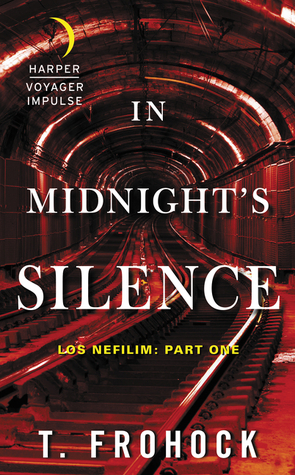 In Midnight’s Silence is the first in Teresa Frohock’s “Los Nefilim” novella sequence. It posits a world in which angels and demons are physically real, and inhabit the world alongside humanity – largely cloaked in shadows. Their children, the Nefilim of the title, are something else again – and the struggle and sacrifice of some of them is central to Frohock’s story. The world of Los Nefilim is set in the Spain of the nineteen-thirties, several years before the civil war. In most respects, it resembles the world that we know. There’s the division between the rich and poor of the country, with subtle hints of the geo-political conflict to come. But this is an undercurrent in a richer sense of social and literal geography. This is a Spain where you can feel the turgid heat curling off the page, and where the vitality of the people is obvious in every word and gesture. Frohock’s prose is almost lyrically descriptive, and really helps locales come to life. There’s broken down boarding houses, stultifying parlours of the rich, and some sewers which fairly crawl off the page with a stink of tortured misery hanging in every passage. Where this world differs from our own is the titular Nefilim – the children of Angels, caught in a hidden conflict between Angels and Daimons The mythology around the Nefilim and those above them in the celestial struggle is deftly inserted into the narrative, the reader picking up information alongside the characters, the world gaining a different texture as their understanding grows. There’s not much in the way of flashy magic here – but there is a sense of corruption, and a sense of a kind of divinity, lurking between the words on the page. I’d love to delve deeper into the world hidden behind our own – but also love that most of it remains unknown. In part, this mystery is due to our protagonist, Diago. The offspring of an angel and a daimon, aligned to neither, he gives us a unique view on the world. But it’s one limited by status – he is deliberately kept out of the loop on all sides of the conflict, and his sense of discovery moves alongside that of the reader. But he’s not just – or perhaps not even – a special snowflake, despite being a hybrid. It’s to Frohock’s credit that Diago feels more human than supernatural – a man with a deep love for his partner, Miquel, a man with some tightly controlled rage issues, and a man trying to construct a version of himself. He feels flawed, but not broken, and as the reader sits inside his head, we can feel the emotional depth of his commitments, and the turmoil of his struggles. There’s a sense of the iceberg about Miquel – far more present than is currently exposed – but what we see here has the intensity of a lava bath. His relationship with Miquel is one of the core sections of the text, and it feels plausible, and carries a great deal of emotional honesty and heft. There’s a certain stark vulnerability present in their interactions which makes them a pleasure to read. There’s other characters here of course. I was a particular fan of the clinically cold angel who kickstarts the plot, and the enjoyably vile demon Moloch. The supernatural creatures have a coiled darkness about them, on both sides, and seem somehow both more and less than human – like looking into a fun-house mirror. In contrast to Diago’s tortured near-humanity, they serve as stark warnings, or precursors of narrative dread – and keep things tense enough to have you turning every page. The plot is fairly straightforward, wrapped around the strong core of characters and setting. It’s tightly plotted and tense; there are constraints on the characters which keep them moving, and their need, and the aforementioned emotional stakes, had me invested and turning pages as fast as possible. There’s a lot at risk here, and the characters are convincing enough, and I was interested in them enough, to feel that risk, and the sacrifices they were willing to make to attain it – the plot was intriguing in it’s own right, but worked wonderfully when meshed with the characters. In any even, it sprints along, merging a kind of slowly rising horror with adrenaline and a feeling of emotional investment to create an literary elixir, greater than the sum of its parts. Is it worth reading? Well, I’d say so. The characters are top-flight, plausible and fascinating examples of humanity and…otherwise. The setting works, and feels vividly real. The plot acts as the glue between the other two pieces of the narrative, and can be both entertainingly terrifying and emotionally convincing – so yes, give it a go. Tomorrow we're going to be looking at Teresa Frohock's 'In Midnight's Silence', the first in her Los Nefilim sequence of novellae. It's a tale of supernatural struggle and human moments, against a backdrop of Spain in the 1930's - and has been quite a bit of fun so far. Two of Swords is the new serialised novel by K.J. Parker. The first ten parts are available now, and run to about eighty pages each. Further parts will be made available on a monthly basis. I’m going to try and put out a review for one of the currently available, and then review each new part in the month where it becomes available. Part Ten brings us back to Oida, the composer and purportedly closest thing in this entire sequence to a neutral party. I’m not at all convinced that this is the case, and that’s becoming more obvious with each release. Nonetheless, he’s our protagonist for this part of the sequence. From a world building perspective – well, we get to see a bit more of the countryside. Most of it is rather empty, and Parker manages to evoke a mood of hasty desolation rather well. As Oida treks through fields left to rack and ruin, and houses with meals cooling on their tables, there’s a sense of a world on hold. It’s depopulated farmsteads and empty spaces seem to suggest a narrative hush – a sense that a storm is about to break. The fields and broken tracks are meticulously described – and if they don’t feel exactly alive, maybe that’s the point – they certainly feel convincing. Oida only really interacts with one individual in this segment – his carriage driver. The man is laconic, and in his own trade, seemingly an expert. The convolutions Oida goes through as he attempts to get to know the man are rather fascinating to watch – as is Oida’s ability to cloak his personality in another, in order to get the most out of his companion. It brings to mind the “layers of reasons” brought up in the previous segment. Here, Oida moves at a less complex emotional level – doing what he believes has to be done, shaping his journey, and seeming in many ways more chameleon than man. That said, he’s still great fun to read; his exchanges with the carriage driver are frequently witty, and almost always clever. Parker’s always had a gift for writing acerbic, intelligent dialogue that demands the reader’s attention, and he utilises that gift here, fully. The dialogue scintillates, even when most of it is, strictly speaking, a monologue. Still, Oida is delightfully aggravated, amusingly aggravating, startlingly intelligent, and wonderfully amoral. On the other hand, it’s just as well that Oida’s such an intriguing read, because as far as I can tell, he’s not really up to much. Most of his time seems to be spent trekking across the empty Empire, trying to track people down. As an opener, this works rather well, and we learn quite a bit about the current geo-political situation just by tracking Oida’s musings on the subject. There’s a sense that events are happening somewhere off screen, and we, like Oida, are somewhat in the dark about exactly what’s going on, and who exactly is doing what to whom. As the segment comes to a close, the tension ratchets up – Oida has to make some hard choices, and the results of those voices were rather surprising. Still, it doesn’t have the same taut terror of his nightime operations with Telamon in earlier segments. That said, it still works reasonably well. Is it worth reading? Well, it’s becoming harder to read each segment as a stand-alone at this point. But if you’re already invested in the sequence, then there’s some interesting material here, which appears to be opening the pathway up to a fascinating conclusion. So yes, it’s worth carrying on with this part of the sequence, if only (though I would say not only) to find out what happens next ! Tomorrow we're going to take a look at the next in K.J. 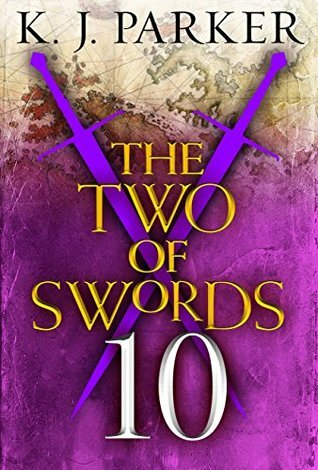 Parker's "Two Of Swords" series of novella's. More politics, more witty banter, and the occasional death - great fun thus far. 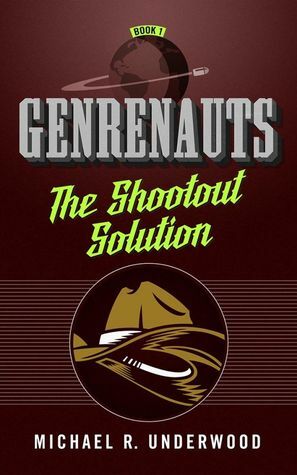 On Monday we're going to look at Michael R. Underwood's novella "The Shootout Solution". It's a clever adventure piece, with dimensional troubleshooters crossing into literary genre worlds to make sure stories take their preferred course. It's been good fun so far! Late post today! 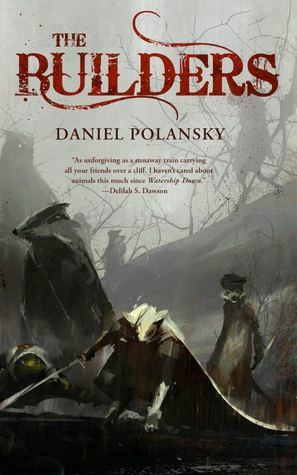 Tomorrow, we'll have a review of Daniel Polansky's thoroughly excellent "The Builders" - a fantasy-western with anthropomorphic animals and a fair amount of vengenace-fuelled gunfire. It's an interesting text, and really well done. 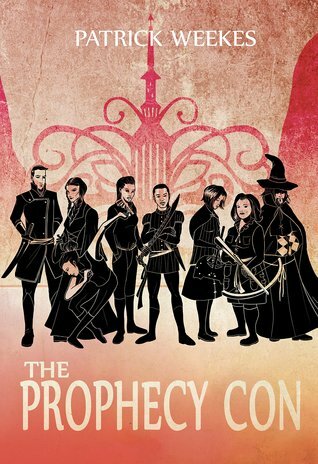 The Prophecy Con is the second in Patrick Weekes’ “Rogues Of the Republic” series. 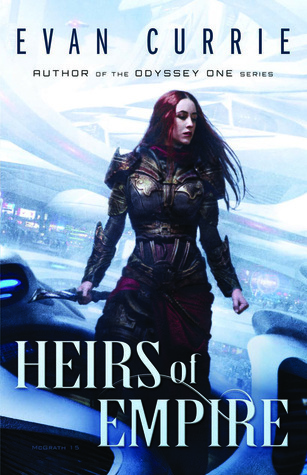 It picks up shortly after the first book left off, bringing us back together with Loch and most of her crew, as they struggle to prevent war and catastrophe from overtaking the Republic – and not-entirely-incidentally, save their own skins. The world we became familiar with in the first book – filled with mysterious crystal devices, magical creatures and warring states – is still in play in this second novel. It does, however, take the opportunity to expand in scope. We’re taken on trains hovering over tracks powered by magic, through cities populated by entirely new peoples, and Weekes opens up his world wonderfully. I was particularly fond of his dwarves – an industrious, socially cohesive people, who look on the more chaotic impulses of their human neighbours with bafflement. There’s also more opportunity to look at elves – mentioned quietly in the first book, here there’s talk of their lands, and a closer examination of why they act as they do. It’s internally cohesive, and provides an intriguing background to the actions of the characters. There’s a vivid universe here, and a strong sense that it’s going about its business around the characters, even as they work to make an impact on it. The characters are largely familiar from the preceding novel, though there’s also some new additions. Notably, the main cast are all dealing with the fallout from their preceding adventure, some more successfully than others. Loch’s right-hand-man, for example, keeps up his barrage of “your mother” insults, in a manner which is delightfully crass – but also clearly struggles to adjust to the traumatic stress of events that overcame him near the end of the previous volume. The returning characters remain a delight to read. The interplay between them is particularly fun – there’s a lot of wit on display here, and the air fairly sizzles with repartee. Some of it is perhaps a tad familiar to readers of the last story, but it’s dynamic, punchy, and often extremely funny. There’s some new companions and antagonists here as well – it’s perhaps less clear than previously which ones are which. There’s a sense of inhuman dread around…well, at least one of them, which Weekes paints into the text very well. The others appear to be acting for their own reasons, and the play of emotion and motivation is portrayed in such a way as to make each character feel unique, and also, if not human, perhaps fully rounded individuals. The plot is…well, it’s a heist. Or a series of heists. There’s some wonderfully tense moments involving breaking into high security buildings, and they’re interspersed with some downright thrilling combat moments – and both of these are running alongside well developed characters in a fully-formed and fascinating world. As ever, the book starts with a bang, and the pacing thereafter is top notch – there’s moments of relative relaxation for the reader, but whilst the prose is very dense, all of it feels necessary, or at least interesting to read. The stakes…well, they start high, and they only get higher as the narrative rattles along. It’s a fast-paced, fun book, with some interesting red herrings, matched with equally intriguing revelations. Is it worth reading? As with the first book in the sequence, there’s not that many books in the fantasy-heist genre, and this is one which has been done well, and with a sense of adventure. If you’ve read the first book, this is more of the same, but dialled up to eleven. If not…well, go and read the first one – but this book succeeds at what it sets out to do –it’s got a solid central theme of heists and trickery, within a gorgeous world, with characters you care about. So yes, it’s worth reading. Tomorrow we've got a review of the second in Patrick Weekes' "Rogues of the Republic" sequence. It promises thievery, scheming, quite a lot of rather funny banter, and an opportunity to save the world. So far, it's delivered - more on that tomorrow! 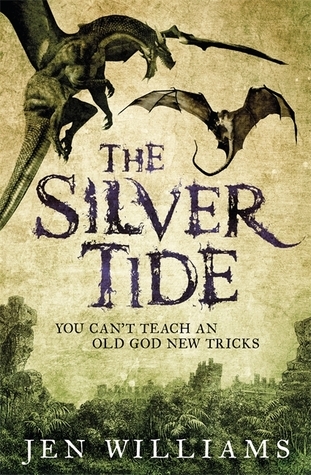 The Silver Tide is the third entry in Jen William’s “Copper Cat” sequence. It follows the adventures of female mercenary and professional troublemaker Wydrin, along with her colleagues/frenemies Sebastian the knight and the rather cranky mage, Lord Frith. In the interests of full disclosure – I’ve been a fan of William’s work since her first in this sequence, “The Copper Promise”, and the second, “The Iron Ghost” was one of the first works I reviewed on this blog. They’ve been consistently entertaining, fast paced works with some original ideas, vivid environments and characters who –in some cases literally – leap off the page. This trend largely continues in this volume. The world of The Silver Tide is, broadly, the same as that of the preceding books. There’s an underlying mythos which has been sustained throughout, and is continued here: of gods turned vengeful, overthrown by human mages in an event of cataclysmic proportions. What remains is a world diminished by lack of magic, with a heritage of divinity and magecraft to live up to. It’s also a world which promises adventure to the first adventurer to run across a cache of magical items – at the same time offering the opportunity to run afoul of a variety of magical traps. The Silver Tide approaches both of these themes in parallel, as Wydrin and her team set out to explore a mysterious tropical island, rumoured to hold something of incredible value at it’s heart – of course, no-one who set out to find the centre of the island has ever returned. The island Williams gives us is perhaps familiar to readers of Treasure Island; it’s a fetid swamp, filled with terrors. Each mis-step is likely to be fatal. Each glance into the undergrowth as likely to reveal a razor-toothed horror as a golden idol. Williams sets out to describe a place which is at once a paradise and a hell on earth; a place vibrant with life, most of which wants to dismember the protagonists. In that regard, she succeeds. The island is as much a character as the individuals in the narrative – a truly hostile environment, which nonetheless seems to throb with life throughout the book. The text also explores environs outside of the island, somewhere far stranger in fact – but to explore that would involve some spoilers. Let’s just say that this other locale is both exotic and utterly fascinating. The characters – well, by this point, the Black Feather Three, as Wydrin, Sebastian and Frith are known – will be familiar to most readers. Still, there’s room for them to fill out further here. Frith’s insecurity and damaged state of being after the last book is accentuated, and the book doesn’t flinch away from him dealing with the consequences of his actions. The same is true of Sebastian, who is handling emotional trauma of his own. Williams doesn’t let her characters get off scot free –and by making us aware that their actions have weight, have consequences, she invests us in them all the more, and makes us care about how they will deal with what happens after the adventure, as much as the adventure itself. Wydrin, as the central pivot, isn’t entirely immune from this either – she gets a long arc through the text on family relationships, and another around familiar themes with Frith. At all junctures, however, there’s a sense that the trio is, if not learning, certainly adapting to their circumstances, their attitudes to each other and the world altering over the course of the book. This organic development is delightful, and the way the characters shift is both believable and rather compelling. The plot…well, as ever, avoiding spoilers. It’s in the common theme of the Copper Cat books however, in that it’s a fast-paced, swashbuckling piece of prose. Wydrin and company rocket through the book, leaping from emotional crisis to...less-than-emotional crisis. The stakes are high, and the consequences for failure, if at all possible, are worse than usual. Above all, this is a text which has a serious, rapid-fire narrative behind it, one which had me turning the pages desperately to discover what happened next – but is also not afraid to leaven that narrative with humour, sparks of laughter in the darkness. Williams has written an adventure novel of the highest order here – I was literally unable to put it down. It’s clever, the dialogue is both witty and interesting, and the plot makes some demands of the reader to follow along, but is never less than accessible and intriguing. With that in mind – is it worth the read? Absolutely. I’d recommend reading the first two novels first – but this is a heartfelt conclusion to an excellent series. Tomorrow we're looking at The Silver Tide, the thrid of Jen William's "Copper Cat" sequence. It has adventure, excitement, and really wild things. It also has great emotional heft, backed up by a thoroughly entertaining story. Oh, and pirates! 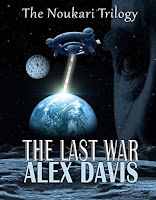 The Last Witness is the latest novella length work from K.J. Parker. It begins with a man who has the capacity to take memories from other people, and transfer them into himself. Given it’s Parker, this quickly ends up being the pivot around a sea of intrigue, moral discussions and the occasional emotional punch in the face. The world floats somewhere in the shared continuum of Parker’s other works. There’s references to other cities, and shared cultural figures from other books – though nothing more overt than that. But there’s more to see here; the bulk of the story takes place in outcrops of a thriving metropolis – with the assorted gradations of society that this entails. Parker takes us through high society and dark warehouse interrogations with equal skill; the glitter of the jewels at a high society ball contrasting nicely with the occasional splash of blood, There’s not an exhaustive set of world development – but the spaces where the reader finds themselves are well drawn, and in some cases, absolutely ooze atmosphere. I’d say my only complaint is that the locale changes rather frequently, as the protagonist travels through the narrative – it would have helped to look at some of these locations more closely. Still, there’s enough effort here to make each location feel unique, and together they form a rich tapestry of prose which helps us understand the situation of the protagonist. Speaking of the protagonist – whose name I don’t think I caught throughout – he’s an interesting creature. Normal, apart from the ability to extract the memories of others and store them in his own skull. This makes him an excellent resource for people looking to avoid tax audits, court interrogators, or inconvenient social occasions. The problem here, as the protagonist admits himself, is that having a life filled with other people’s memories makes him question which parts of him are actually, well, his. Parker takes us along on a discussion of the nature of memory, and the question of self. It’s deftly done, and fits integrally into the narrative, but it makes what was a snappy read one that’s also very interesting. We’re largely restricted to our protagonist’s viewpoint, but Parker makes him a character to remember, so to speak. He’s swathed in moral ambiguity, and relentlessly unapologetic for the things that he does. On the other hand, his narrative is charmingly straightforward and that very lack of apology makes it extremely compulsive reading, with a voice which resonates as much as it repulses. There’s a supporting cast, but with a few exceptions, they serve as adjuncts to our protagonist as he staggers through life – and, in some cases, between lives. The plot is, even for Parker, rather obscure, or at least, obfuscated. With memory explored as an issue so strongly, the question of what happened, when, and who it happened to becomes rather more pressing than it might otherwise. A first reading gives a suggestion of the way the narrative flows overall, and it’s paced well enough that you’re not going to want to put it down. I suspect, however, that this is a book which will reward multiple readings – to uncover some of the layers that may not have been apparent originally. Is it worth reading? I’d say so. Parker’s done a superb character study of a man who might be a monster, and wrapped that in a core of moral and social questions. That there’s an intriguing and rather clever story wrapped around that as well, is something of a bonus. It’s not an immediately easy read, but it was a rather rewarding one. 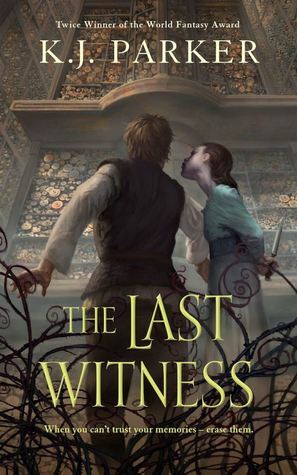 Tomorrow we'll be talking about The Last Witness, the latest novella by K.J. Parker. It's dark, complex, and won't let go - so very much a vintage Parker effort. Eden Green is a blend of sci-fi and horror by Fiona Van Dahl. It begins with the concept of a parasite, one which will merge with and regenerate its host. Functional immortality and heroic endurance are perks. Of course, these things come with a price. There’s also the question of where the parasite came from, and what this means to both the protagonist and to humanity as a whole. There’s some really interesting ideas in Eden Green. The idea of a symbiont that works to regenerate its host is intriguing. It allows exploration of a couple of themes – most immediately, that of power. When an individual has seemingly superhuman strength, and can recover from repeated mortal wounds, then what does that do to the individual? How do they cope, in a world where they are something other than normal? It’s a theme that has been explored elsewhere, but Eden Green approaches these questions unflinchingly, and with a degree of nuance which was enjoyable to see on the page. It also approaches the question of identity. As an individual is regenerated by their symbiont, the question arises of whether they are, in fact, human any longer. The role of identity is touched on, and the author isn’t afraid to examine the effects of a changing or even lost sense of self. The actions of the symbiont prove an excellent way to do this, and the interactions between characters as they attempt to resolve who they are, who they think they are, and what defines them as, well, themselves, is an interesting read. The first section of the book revolves around the protagonist, Eden Green, as she’s drawn into the world of the symbiont, and the creatures that inhabit that world. The author sketches Green well – a focused, rational individual, with a penchant for logic and lists, and a genuine sense of caring for her friend. Her supporting cast includes the aforesaid friend, and a mysterious individual who first provided that friend with the symbiont. Eden’s chum is also well done – a scatty trouble-magnet, with the ability to make extremely dubious decisions, usually for all the wrong reasons. I was quickly joining our protagonist in sighing in frustration at her friend when she appeared on the page and did something incredibly, but plausibly, unfortunately, wrong. The third of this band, the mysterious stranger, I didn’t enjoy as much initially. There’s a sense of power there, certainly, and something of danger, but the character doesn’t quite work in that mould – their dialogue a tad disjointed, their actions not tied together with quite enough narrative rope. On the other hand, there’s some excellent notes of genuine menace there – the character seemed like a solid base, which needed a bit more building up to have the narrative impact required. As the book progresses, all three of this central core of characters change – the degree of change depending somewhat on the narrative. I give credit to the author for trying something ambitious, showing us the descent of individuals, and the way that they alter as their perceptions of themselves shifts. 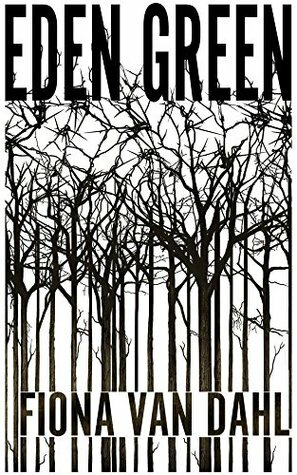 I think the sense of confusion that laces the text is a great way to convey this mood, but also that the reader could use a few more signposts, even if the characters don’t get to see them – some later segments felt a little scattershot, and I was trying to figure out what was going on as much as Eden. Maybe this is intentional, but I think a little more signposting would have helped the flow of the text. Plot-wise – there’s some excellent sections here. Eden’s initial encounters with her friend, and with the creatures that seem to be involved with the symbiont, are deliberate, well paced, and explode occasionally in compulsive action sequences. As the scope of the text broadens, the narrative momentum seems to be lost a tad – there’s a middle section which has ramifications for the narrative, but seems either longer or shorter than it needs to be. The author does well at evoking the sense of the human and the alien internally – and the city our protagonist lives in is drawn with enough detail to feel real, but it, and other environments, could use a little more texture in order to make them come alive. Is it worth reading? I’d say so. There’s some intriguing thoughts in here, ideas about humanity, about what makes us who and what we are, which are worth pursuing. I a little more polishing - and in some instances a cleaner narrative structure – would do wonders for the text, but right now, it’s an interesting, emotionally punishing read, with some interesting things to say. The Palace Job is the first in a series by Patrick Weekes. It centres on Loch, a woman wrongfully (or at least inaccurately) imprisoned, as she escapes, forms a crew of reprobates, and sets out to perform an elaborate and improbable heist. It’s fast, it’s fun, and in places, it has a hefty emotional impact. The world has elements familiar to fantasy readers – unicorns, deities active in the world, wizards, that sort of thing – but fuses them together in some interesting new ways. The focus of the text is really the characters and the action, but Weekes manages to give his world enough layers that it has a feeling of depth, as well as geography. There’s the various different clerics who get together to play a poker game. There’s an Empire, waiting in the wings, which seems to be a veiled socio-political threat to the republic where we spend our time. There’s some excellent news-cast style narratives by puppeteers, keeping the population and the reader abreast with political events. Then there’s the actual politics. Again, it’s more visible around the edges than explicitly covered, but it’s there. There’s two parties struggling for control in the Republic, and at least one has some rather odd goals. This feel of political struggle is backed by references to a war in the recent past – and the feel of being on a tipping point, of preventing or falling back into a huge conflict, is an undercurrent throughout the narrative. There’s a lot of other interesting bits as well – the suggestion that most magical artefacts were created by the “Ancients” – including one which serves as, amongst other things, a spectacular floating prison. The internal mythologies about the end of the Ancients and the rise of the current civilisations – it’s all obviously been thought about, it’s all internally consistent, and it leaves the reader with a complex and vibrant world. The characters…well, Loch is the protagonist, if you like. But a large portion of the narrative is her putting together a team for a heist. Acquiring each member of the team is played as a separate narrative, and they’re all highly entertaining. She ends up with a pretty large collection of rapscallions, including a disreputable wizard, a Death priestess, a rather cranky safe-breaker, and a host of other weird and wonderful personalities. Weekes does a good job here of making each member of the team feel distinct, with their own quirks, and absolutely each with their own agenda. Some get a little more time than others – the irascible, morally dubious wizard, who takes a more naïve member of the team under his wing absolutely steals every scene he’s in – but they’re all charming to read about, and utterly intriguing individuals. Loch, as the nominal protagonist, manages to project an image of calm competence over a slow-brewing anger which is a delight to see on the page. She also manages to wrangle her herd of dysfunctional goats..er..team members…in the right direction, without compromising on who she is, and what their goals actually are. Plot-wise, well, there’s a prison break. And planning and executing a heist. The book opens strongly with Loch’s efforts to get out of prison, demonstrating the kind of intricate, double bluff plotting that carries through the rest of the text. The pacing is spot on, and the dialogue is plausible and eminently readable. There’s a bit of a lull as she begins gathering her team, but the various situations in which they’re recruited are entertaining, and there’s some solidly tense moments laced through that phase. The heist itself, in planning and execution, feels like it’s taken a lot of lessons from films like Ocean’s Eleven – it’s fast-paced, it’s tense, and it’s absolutely relentless. It’s also an extremely compulsive read as a result – I was entirely unwilling to put the book down until I saw what happened. Overall, it’s a solid read. We don’t see a lot of heist-type fantasy novels, and this one is particularly good, if you’re in that particular mood. I would like to see more exploration of the supporting cast, and I’m looking forward to seeing more of Weekes' world in later books – but overall this is a snappy and interesting read. 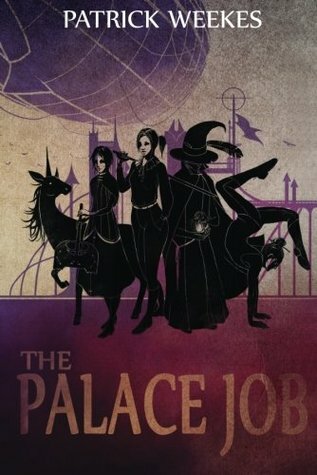 Tomorrow we'll be taking a look at The Palace Job, the start of a series of fantasy heist novels by Patrick Weekes. Decent heist stories in a fantasy universe are rare, but Weekes has pretty much hit the nail on the head with this one. Tomorrow we have a review of Evan Currie's latest, a sci-fi epic with a smidge of fantasy thrown in/ It's got a bit of politics, several excellent pieces of hand-to-hand combat, and the sort of epic scope we've come to expect from Mr. Currie. It's a quick, fun read, and very enjoyable thus far. The End Of The World Running Club is a post-apocalyptic sci-fi piece by Adrian Walker. After a catastrophic meteor strike, an average suburban father struggles to cross the remnants of a shattered Britain - travelling with a motley crew of other survivors - trying to reunite with his family in time for them to be evacuated. It’s sometimes touching, occasionally appalling, and has some interesting thoughts to share on fatherhood, the nature of friendship, and a fresh look at how our world could end. The shattered Britain in which we find ourselves is rather well done. The use of a meteorite strike avoids the problem of characters surviving in a radioactive wasteland, whilst creating enough social and geographic degradation to pose real challenges. The narrative starts shortly before any cataclysm, and Walker shows us a Britain which is at peace with itself, but perhaps a little complacent. The view of terraced houses, suburbs and corner shops evokesthe warm beer atmosphere of stereotypical modern Britain with some success. Post-disaster Britain is another place entirely, and Walker applies some considerable descriptive talent to letting us know about it. Major urban centres descend into madness. Parts of the country are flattened, buried, or simply washed away. The scattered enclaves of civilisation include rural swathes, urban centres and military bases, and it’s to the author’s credit that each of these can be differentiated, and also feel real. The rural areas are isolated, poorly supplied, and horribly dangerous. The urban areas are typically heavily damaged, filled with a populace on the edge of madness, and horribly dangerous – but each feels distinct from the other. It’s to the author’s credit that as the characters march across the length of Britain, each of their stops feels different from the last. That they’re surrounded by madmen, disease, and the promise of starvation or murder just adds a frisson to the proceedings. Our protagonist, Edgar, is something of a slob at the start of the book. Unfit, living a life if quiet desperation, with a family which exists in a state of mutual exhaustion. He’s sympathetic in his everyday humanity, in his definition of himself through seemingly petty issues, constrained by everything around him in a life which is comfortable, but unfulfilling. After the End of the World, Edgar changes. The narrative is, from one perspective, the story of his travel from one end of Britain to the other, looking to catch up to his family. From another though, it’s about Edgar’s transition from a man without purpose into someone with a central goal, and his associated emotional growth. It’s to the author’s credit that they make this shift organic and believable, and more so that Edgar’s struggle with his definitions of fatherhood and his role in his family are approached with a hard iron sympathy. We can feel for him, whilst wanting to give him a kick in the behind – whilst recognising his flaws in ourselves. In any event, Edgar is a marvellously believable everyman, and his viewpoint, if not always sympathetic, is thoroughly affecting and rather readable. From a plot standpoint – the broader sweep is very effective. The journey across the land is an excellent medium for smaller stories, and each of the palces that the group stop gives an opportunity to show something new in the post-apocalyptic society. The whole tale jogs along nicely, occasionally picking up a burst of speed at critical moments – and making for an interesting and affecting read. Is it worth reading? It’s not exactly a typical piece of apocalypse fare., but I’d say so. Watching Edgar’s journey toward a different view of himself, his family and fatherhood is marvellous; the apocalyptic backdrop gives it some much needed colour, and adds situations which make this a fast-paced and interesting read. 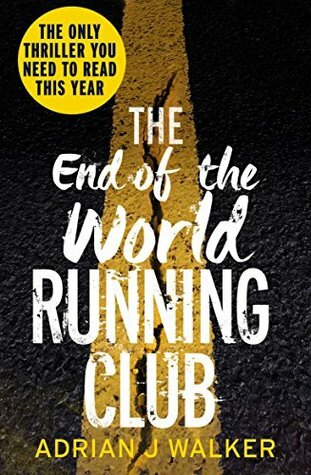 Tomorrow we'll have a review of the End of the World Running Club. The central thread is that of a suburban father, struggling to travel the length of Britain after an apocalyptic event, to reunite with his family. 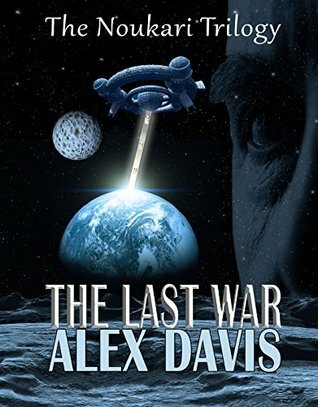 It's a well paced sci-fi adventure, with some interesting meditations on fatherhood as well. 13 Minutes is a new psychological thriller from Sarah Pinborough. It centres on the relationship between a group of girls in their late teens, after one of them is found in a river, and declared dead for thirteen minutes, before returning to life with no memory of how she ended up in the river. The setting is relatively confined – a relatively small-seeming British market town, with a focus on the school that serves it. Pinborough manages to convey the sense of tolerated and tolerable education through her prose. The atmosphere of the school accords with my (admittedly slightly dusty) memories of that time of life. There’s the teacher that half the school lusts after, and the clique of popular kids whom everyone looks to for leadership – and there’s the sense of evolution, as well. The school feels like a chrysalis, a place in which children are finding their feet, and moving into adulthood. Still, this isn’t Saved By The Bell. The environment is, to put it mildly, poisonous. The cast of teens don’t all like each other – to put it mildly. There’s a feeling that each word, each step, is being judged and dissected. That every interaction is equal parts studied performance and emotional honesty. The world that these girls inhabit is one intimately familiar to school-leavers, one where decisions have an immediacy, a sense of urgency, where even the smallest choice feels like it may have life changing consequences. Of course, sometimes it does. It’s difficult to convey how well Pinborough has done here – but the school that her characters inhabit feels exactly right. It has everything that made schools such a joy, and such an awful trial, for everyone involved, and it seems all too real. The main focus of the narrative is the relationship between Tasha, the girl who was found floating dead in a river, and then revived – and her old childhood friend, Becca. The former is the champion of the popular group, a mover and shaker in a school hierarchy where reputation is everything. The latter is a firm contrast – less concerned with popularity, more concerned with being herself. We get to spend a lot of time in Becca’s head, in particular, and the tone seems pitch perfect. There’s a wry warm, and a feeling of intelligence, overlaying a broad streak of insecurity. This tone is backed up in her interactions, especially with Tasha, the girl whom she was once closest to, who most wanted to impress. Tasha is a different beast, Initially, she comes off as traumatised by her immersion in the river. There’s a sense in her interactions with Becca, and with their supporting cast of friends, that she’s not sure who she is any more. This personal uncertainty is interleaved with the broader theme of childhood overthrown, characters moving past childish things and into the harder, but perhaps less judgmental, world of adulthood. Impressively, the text covers a lot of emotional ground. There’s love. There’s betrayal. Both felt with a kind of soaring agony, which comes through the text and punches the reader in the metaphorical gut. But there’s quieter moments too – affection to or from parents, for example, mixed with a sense of their fallibility. There’s a darker strain running through it as well; there’s a lot of jealousy in the dialogue here, and it carries the passion of youth, intermingled with the dread seriousness of adulthood – and the associated consequences. In any event, the entire narrative is an absolutely masterful character piece. We get to see the way that individuals think about themselves and each other, and I’ve rarely been so immersed in a character and their world – and, on some occasions, horrified by both. From a plot standpoint…well, getting into any detail might induce spoilers. The book starts with the mystery of how Tasha ended up in a river and died, though. That mystery is chased through the text, with red herrings, confusion, and even some investigative insight – and as a central pillar of the narrative, ti hangs together, keeps your interest, and also manages to keep you guessing all the way through. The whole plot is a byzantine maze of plot, counterplot, lies, illusions, and mosaics of truth – and it’s absolutely glorious to read, and very hard to put down. Is it worth reading? Yes, absolutely. It’s got a solid, tense plot and some wonderfully drawn characters, living in a world which feels all too terribly real. Give it a try! 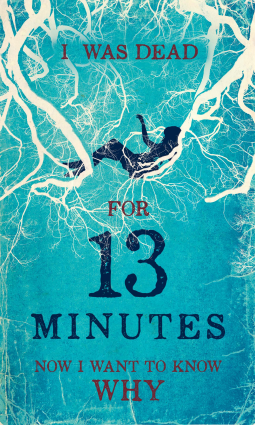 Tomorrow we're talking about Sarah Pinborough's psychological thriller, 13 Minutes. It's an absolute masterclass in character, tension, and tight plotting - thoroughly enjoyable stuff. 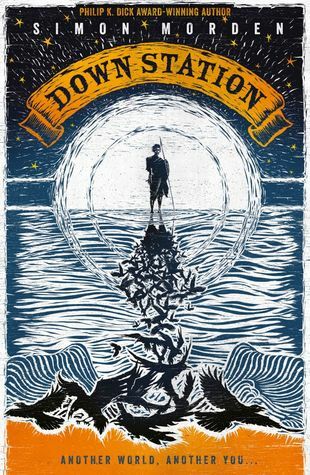 Down Station is a new fantasy novel by Simon Morden, perhaps best known for his Metrozone series. It follows a small group of people flung through a portal from London, and into a strange new world, as they come to terms with their situation, and each other. The world of Down is an interesting one. Our group of characters are cast onto it, as if onto a foreign shore, and with a similar lack of understanding. Morden makes Down feel like a large space, once where getting anywhere is going to take a little while, and doesn’t flinch from the details that make this plausible – the characters are initially concerned with survival, with supplies, with how to acquire and prepare food. It’s a world which, to them, begins as a seemingly endless emptiness. It doesn’t stay that way of course – our cast of travellers quickly meet a host of native inhabitants, some more friendly than others. Our view of the world shifts alongside the characters, learning more as they do. It’s a land filled with mysteries – one where habitation appears to have declined, and where strange, possibly magical and certainly lethal creatures hold sway. There’s a sense of wonder which Morden evokes, as the characters become more familiar with the world, but not yet of it. Each discovery is new, exciting and intriguing – but at the same time, potentially dangerous. Morden’s world is one sculpted with care. The role humanity plays, the society our party finds themselves in, are all plausible whilst unfamiliar. The sweeping vista that the characters have before them both befuddles and beguiles them, and it’s a credit to the author that it can do the same to the reader. From a character standpoint, the focus is on a pair of young adults - one a Sikh engineering student, the other something of a reprobate – and their relationship with the world, the rest of the group, and each other. As part of a diverse ensemble, both have their quirks – I was a particular fan of the girl, who is struggling to work a minimum wage job and keep her nose clean to escape detention, and finds that on this new world, she’s entirely responsible for herself. Morden plots out the character journey wonderfully, giving us a troubled, undeniably intelligent, but angry individual, and looking at how they adapt and change in a world which requires self-confidence and self-reliance. She moves organically over the course of the book to be, if not a more pleasant human being, certainly with greater self-awareness. This shift is done well – it feels like there’s learning and character growth visible across the pages. It helps that she’s a great character to read – largely intolerant of other people’s nonsense, typically pragmatic, but with a central core of compassion and humanity to act as a counterbalance to these traits. Our other protagonist is, at least initially, calmer, more sure of themselves. Both character journeys are centred around understanding the self; our Sikh engineer begins more sure of themselves, and finds events conspiring to strip that self knowledge back to a central core, paring back to the essential, and the previously unknown. He’s also quite an enjoyable read – a believable refusal to let go of values which might be a disadvantage in this new world, mixed with an empathetic understanding of those around him make for a gentler, but perhaps more effective character. Again, Morden gives his protagonist responses to circumstances which seem to work – there’s no out-of-the-bule changes here, more a series of gradual movements as he becomes something new – perhaps even something heroic. The protagonists have a fairly small but marvellously portrayed supporting cast around them. I particularly enjoyed the Slavic railywayman who accompanies the engineering student - his caustic comments and ruthlessness made for a nice contrast to the more humane central duo. The remainder of the commuter group gets a bit of time, but is largely overshadowed by that given to the antagonist; I won’t go into detail here for fear of spoilers, but fond that their driving goal, and the logic behind it, felt believable, if not exactly sympathetic. The plot starts frantically, as our cast make their way to Down station; the frenetic pace slows a little as our group explores the world in which they find themselves, but spikes of danger and the excellent characterisation kept me turning pages. As the group moves inland, however, the narrative takes off. There’s magic, murder, betrayal, and a series of revelations which shifted they way I thought about the characters, and the world. I’ll say no more, to avoid spoilers, but the journey that our heroes take through the world of Down is fraught, intriguing, and thoroughly compelling – I couldn’t put it down . Is it worth reading? The world is an interesting and well realised one. The central characters are believable and feel entirely human (though I would like to see more of the supporting cast in the sequel). The plot rattles along nicely, and kept me enthralled to the last page – so yes, I’d say so.